With the whirl of the wrist your baby takes down the evil troglodyte. 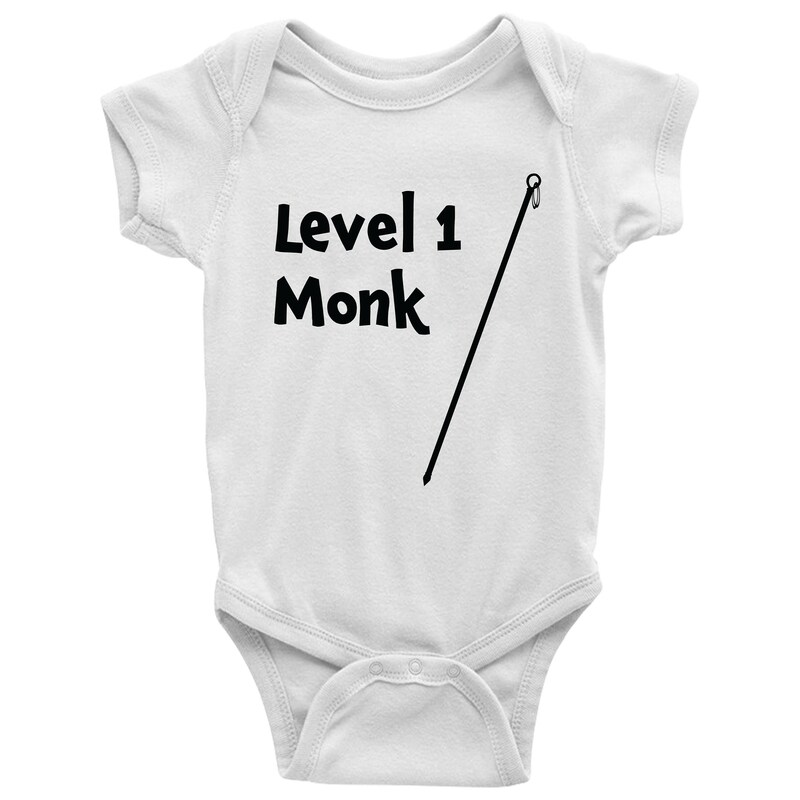 Not an easy task for a level 1 monk! 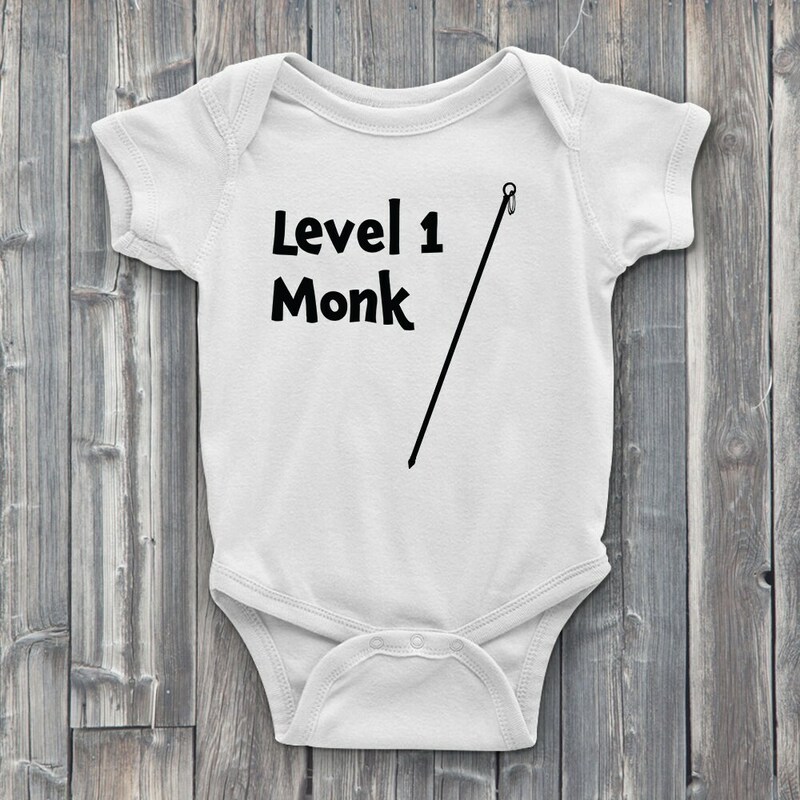 Buy this unique role playing ONESIE for the little one in your life that hates wearing armor. 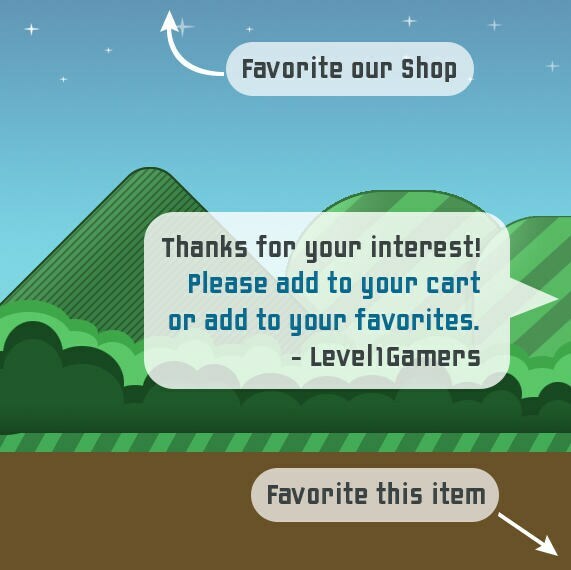 Each Dungeons and Dragons ONESIE is hand pressed with only the finest quality heat-transfer vinyl onto 100% soft cotton fabric. 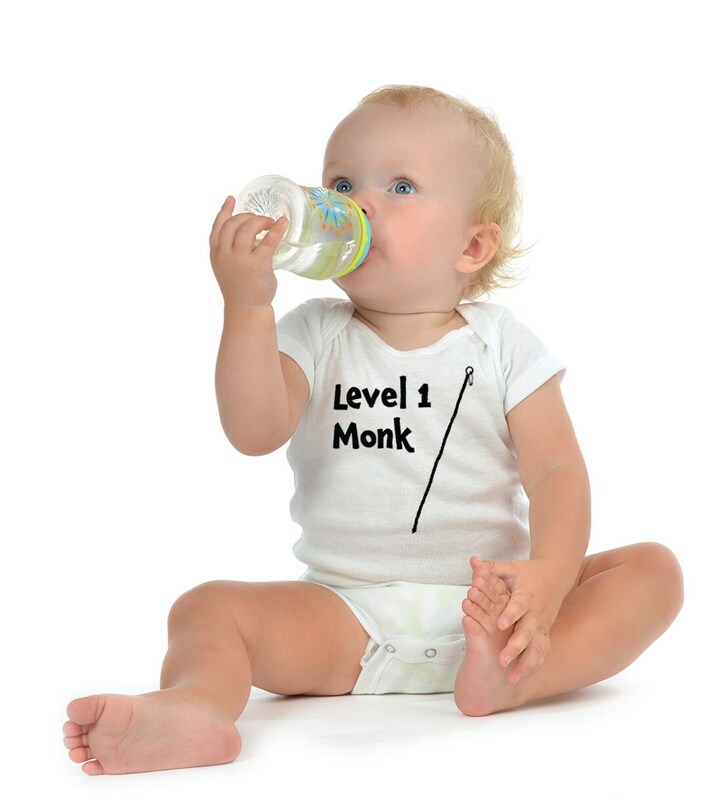 Unisex baby bodysuit available for both boys and girls and comes in many great sizes! Get one for the role-player parent you know or one for yourself!